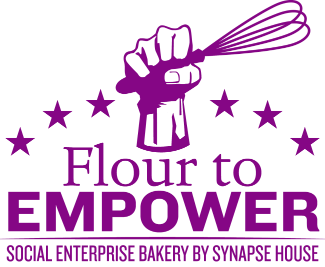 Join us at a local pop-up bake sale or farmer’s market to promote Flour to Empower, the social enterprise bakery of Synapse House, and to sell our delicious baked goods with staff and Clubhouse members. Volunteers must be reliable and able to handle money transactions including credit card processing via smart phone. Friendly personalities are a must as we are a charity that relies on the kindness of others to keep our doors open and spread the word. Hours vary and may include weekends. This is a great event for individuals who would like to expand marketing & sales experience as we would love for someone to assist in the overall planning too. Each pop-up bake sale increases awareness of our Flour to Empower Bakery Training Program and Synapse House within the community. Clubhouse members engage directly in work skills related to business development, marketing, money management and business development. Proceeds directly benefit Synapse House with fulfilling its mission to Engage, Empower and Employ people affected by a stroke or other brain injury.